Immersive Training with Likeminded People…. You want to learn a healing modality that can generate immediate, lasting and consistent results which you can instantly use to help friends, family, and clients upon your return home. You want to heal yourself by helping others. Retreating for the seminar is an opportunity to learn at a relaxed pace, spend time with like-minded students who are eager to learn a truly life shifting healing modality, and enjoy some time away from daily life to focus absorb and retain all that you can from a PureBioenergy Seminar. This is also an opportunity to more frequently interact with and connect in a more intimate way with fellow students and teacher Zoran Hochstatter, a rare and valuable opportunity. This is an unforgettable experience that will revolutionize the way you think about your health. You will be taught simple, yet very effective techniques that can be put to immediate use in your daily life. Level One training gives you the skills to treat family and to become a practitioner. If you practice according to what you learn during the Level One you will get remarkable results. “When I’m working with PureBioenergy it feels like time stands still. Everything seems to slow down and I always get a wonderful, profound feeling of stillness, love & kindness around me. 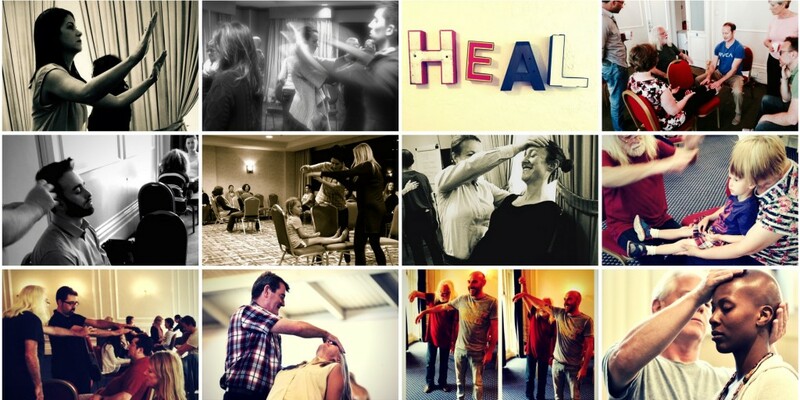 Experience four days of individual healing within a Group setting. PureBioenergy generates the positive effects of acupuncture, massage, reiki, craniosacral, hypnosis, homeopathy, physical therapy etc. along with allopathic medicine in one simple, safe and highly effective therapy. As an “ALL in ONE” healing modality, PureBioenergy often works when nothing else helps. In a group setting the healing potential is magnified by group dynamics. As part of the retreat Zoran will lead a Purebioenergy healing event, 4 sessions spread over 4 days. This gives each participant a full 4 day treatment. Whether it is a serious illness, a sports injury, or general wellness, Purebioenergy has a protocol for it, and all health conditions benefit. Apart from your own personal healing, attending a group event gives you a first-hand opportunity to witness this unique and very different approach to healing. This is Purebioenergy at its most powerful and is an optional offering for all students. “The energy in the room becomes nurturing and stable. People talk to each other, exchange impressions and compliment each other‘s signs of improvement. PureBioenergy is a results-driven bioenergy therapy. It is called PURE because it is totally free of any elements that do not contribute to the healing result. There are no social, cultural, religious, or medical influences. PureBioenergy can help everything from serious illnesses (autism, MS, Parkinson’s) to everyday aches and pains (backache, injuries). All health conditions benefit – from arthritis to stroke. Healing with PureBioenergy is PRECISE, highly STRUCTURED and unique in its SIMPLICITY. A handful of simple, yet powerful, techniques within step-by-step protocols eliminates the extraneous and directly addresses the process of healing. The goal of 1440 Multiversity is to help craft and live more integrated lives – both personally and professionally. Named for the 1440 minutes in a day, we are founded on the belief that each minute is an opportunity to be present and aware of how we connect with what matters—both within and around us. PureBioenergy is excited to offer five days of immersion learning at this world-class faculty on their 75-acre campus beautifully nestled in the California redwoods near Santa Cruz. Within easy reach of San Francisco, 1440 is the nation’s newest learning destination. Along with 1440, we also believe the deepest learning happens when we nurture and awaken all aspects of ourselves. A multiversity is a place designed to encourage and invite this process to unfold in each of us—on relational, emotional, somatic, intellectual, and spiritual levels. Our per-person rates also include all meals, daily meditation and yoga classes, non-ticketed evening events, and use of the fitness center, steam rooms, and infinity tub. An exceptional dining experience awaits you at the Kitchen Table, where nourishing, locally sourced cuisine is beautifully prepared for guests. Whether you sit by the fireplace or dine al fresco, you’ll be treated to a vibrant array of fresh, homemade dishes—thoughtfully created to please every palate. Book your Room when you register for the Retreat. Option to book a treatment at the Healing Arts center, and use of the steam rooms and infinity tub. Working with the biofield, 10 simple techniques to directly optimize the immune system, improve blood circulation and to reach a person on a non-conscious plane thus creating the transformation necessary for the body to self-heal on all levels. Quickly relieve pain by recognizing whether it is caused by too little or too much energy potential. Demonstrate the connection of the biofield and the physical body using Psychokinesis (moving another person without touching them). Understand the importance of hand tension and power of eye focus. Keep the energy flowing to its fullest and in the correct direction by eliminating conditioning, removing doubt and maintaining higher energy potential during the therapy. How to “Step Away” when working ( the energy is intelligent and knows what to do ) and why it is essential for both client and practitioner. When you practice PureBioenergy you will help yourself by healing others. The techniques are used within a very simple but precise structure or formula. There is a specific beginning, middle and end for each protocol which lets the therapy easily become second nature to the therapist. No guesswork of when is enough or what to do next thus freeing the therapist from doubt and questioning. Doubt limits all healing. A PureBioenergy therapist is given all the tools to build and maintain confidence in their work. As a therapist, you will trust that when you follow a specific protocol you will be the most effective for the best result for your client. You will not question/doubt the outcome. Manual of protocols for specific health conditions and hand-outs. During the event each person receives individual attention within the group of other participants. Every day during the event, practitioners work with each person individually within the supportive and relaxed environment of a group. The event typically lasts around 2 – 3 hours where each person participates in their session of 15 – 30 minutes, depending on the protocol needed. It is important to know that while in the group you are not just waiting for your time with the practitioner but as you observe, you are actively involved in your own healing. The longer you stay within the group the longer you will receive the positive effects of bioenergy. Results can be experienced immediately but the full effect of the process will be best felt and measurable after 7–10 days. The body needs time to do its work and improvements will sometimes take up to a month to reach their peak. This is an optional offering for all students. On arrival day, check-in begins at 2:15 pm and rooms are ready by 4:00 pm. We encourage you to allow for a little extra time so that you don’t feel rushed. After checking in, we invite you to explore campus or enjoy a yoga or meditation class before dinner is served from 5:30 to 7:00 pm. We offer an optional welcome session every evening at 6:45 pm. Opening night program sessions typically begin at 7:30 pm. On your ﬁnal day with us, program sessions end by 11:30 am, checkout is at 12 noon, and lunch is included. visiting campus shops and cafés; and enjoying time to rest. Pen and Notebook for notes during Training. Some people find earplugs helpful in shared rooms. For information about 1440 Multiversity and accommodations.